This year we managed both a spring and an autumn survey of Sycamore island. A mix of about 35 people from WPMC or the Allegheny Land Trust were ferried over to Sycamore island by the ALT’s pontoon. We explored the island looking for mushrooms while finding the remains of swimming pools, a barge and other structures. Our luck held and apart for two short showers we mostly stayed dry. The Sycamore island is still growing while its sister island on the other side of the river, 9 mile island, is reported to be shrinking. The island has mature silver Maple and Oak trees on it among other tree and plant species. Many of the species found were saproxylic or wood eating fungi but there were also a few a few mycorrhizal species such as Xerocomellus chrysenteron (Red-Cracked Bolete). Find of the day however was the Calvatia rubroflava (Yellow Puffball). This is a species that we had not previously observed in the region and we took a sample for DNA analysis. 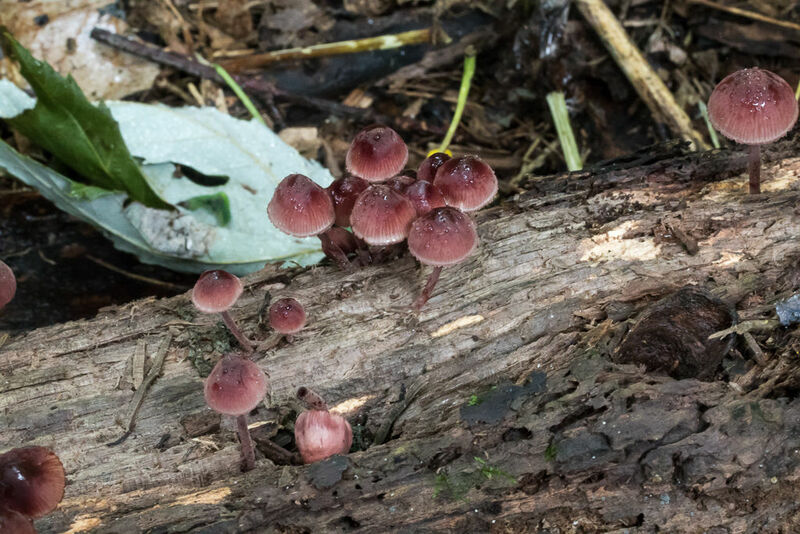 There are a few pictures of the event on the ALT FaceBook page including a 360 degree image from the center of the island and a lot more pictures of mushrooms below. Species list entered by Richard Jacob. Species identified by La Monte Yarroll, Josh Carvin and Richard Jacob.